Is it just me or is “The Purge” film series basically just the action horror version of “The Hunger Games?” Both series are about corrupt future societies in which people murder each other once a year. Anywho, “The Purge: Election Year” continues the tradition of presenting a new night of the annual Purge, a night in which all crime, including murder, is legal. This third entry, however, is more overtly political, literally. The corrupt New Founding Fathers of America have now also made it legal to murder political leaders of all levels which doesn't bode well for a Presidential candidate who vows to end the annual night of murder if she's elected president. It's not a coincidence that this film is being released just months before our own Presidential election (or on the 4th of July weekend). The horror genre has never been known for being exactly subtle when it comes to social and political commentary. The third entry in this wildly interesting, if sometimes flawed, series is probably equal to the second entry in terms of quality. It's certainly much more like the previous entry, than the home invasion thriller concept employed in the first film. “Anarchy” felt much more like an 80s John Carpenter action thriller than a stander horror film, while this third entry takes a foray into the political thriller genre. The movie initially sets up two stories that eventually converge. We're introduced to presidential hopeful Senator Charlie Roan (Lost's Elizabeth Mitchell) who wants to end the Purge. Her entire family was murdered eighteen years earlier and has dedicated her life to making sure the annual night of murder ends for good. These films have always shown that while the American government claims this night has made the economy better and the yearly murder rate drop significantly (as people can “purge” their bad thoughts legally every year), the annual night of chaos is actually a way to cleanse the country of low income people who tend to be the targets each year. The film also focuses on a convenience store owner named Joe Dixon (Mykelti Williamson), his employee Marcos (Joseph Julian Soria), and friend and EMT worker Laney (Betty Gabriel). Joe has decided to haul up in his store and protect it as his Purge insurance rates have inexplicably skyrocketed. 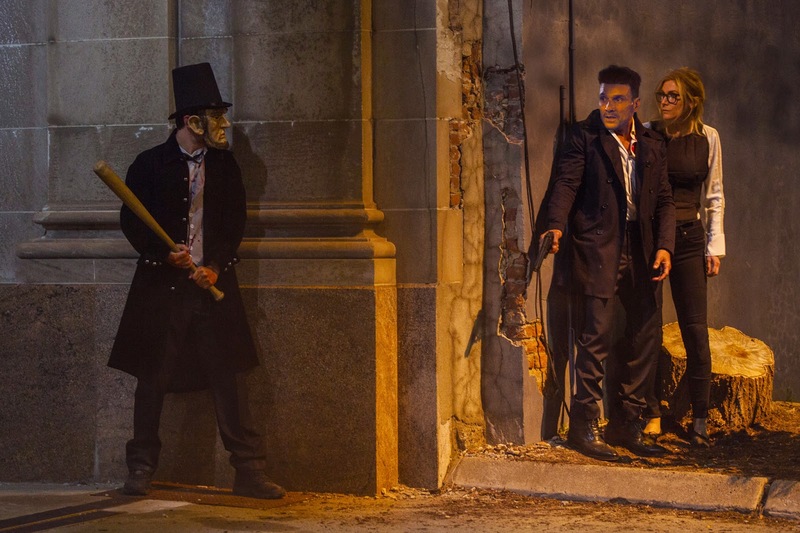 Things turn bad for Senator Roan (and her head of security Leo – Frank Grillo from the last film) when the NFFA announce that politicians are no longer immune from the horrors of the Purge. And let's not forget the borderline psychotic and Roan's political rival Minster Owens (Kyle Secor) who continues to support the Purge. The film then turns into a political thriller as allies becomes enemies and Roan is forced to run for her life on the deadliest night of the year. Trailer for The Purge: Election Year on TrailerAddict.